Architect Adam Kalkin's Push Button homes are fascinating. A shipping container that unfolds with the push of a button in 90 seconds to reveal a living space complete with a bedroom, a bathroom, kitchenette, and living area. The first Push Button House was originally displayed at Art Basel Miami in 2005. Built in a standard shipping container, the home, by architect Adam Kalkin, expands like a flower blossoming to reveal a modern and minimal living space. Kalkin’s concept uses hydraulic power to lift and lower the sides of the shipping container, expanding the usable living space. The Push Button House was adapted by Illy for use as a temporary café at the Venice Biennale in June of 2007, and at the Time-Warner Center later that year (images courtesy of Tree Hugger). His Push Button House 2, a revised version of his Push button House 1 was documented in the 12 minute short, shown below, by Snag Films. Part performance piece and part sculpture, the Push Button is an engineering and artistic feat that captured the attention of both the artistic community and public as a bold, yet playful vision on the intersection of art and technology. This award winning short film has been featured at over a dozen international festivals including AFI Dallas, Newport Beach Film Festival, Seattle International Film Festival, and featured preview footage at the Museum of Modern Art. 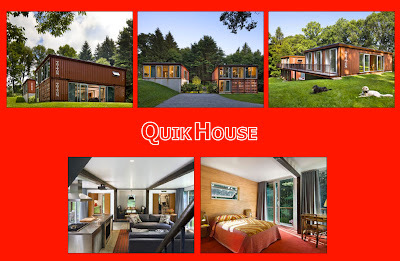 Adam is also the owner and designer of Quik House, a series of purchasable and customizable prefab shipping container homes. 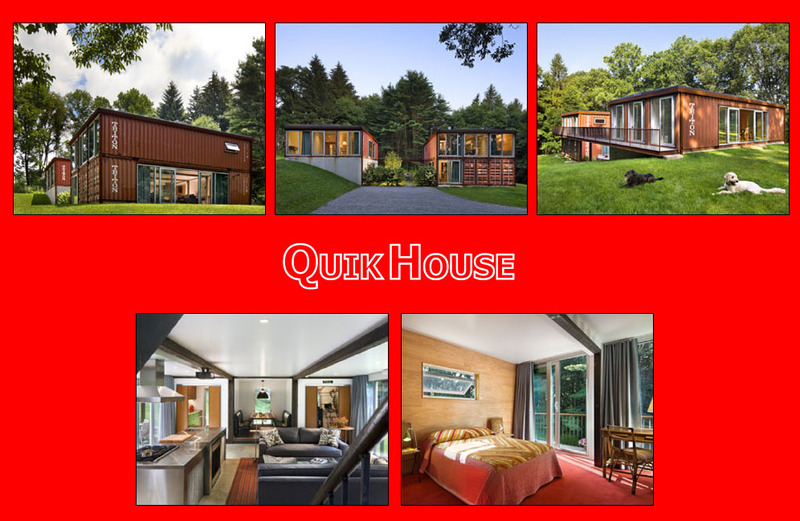 Kalkin’s Push Button Houses are one of many shipping container concepts and homes that he has designed. See all his amazing work here.